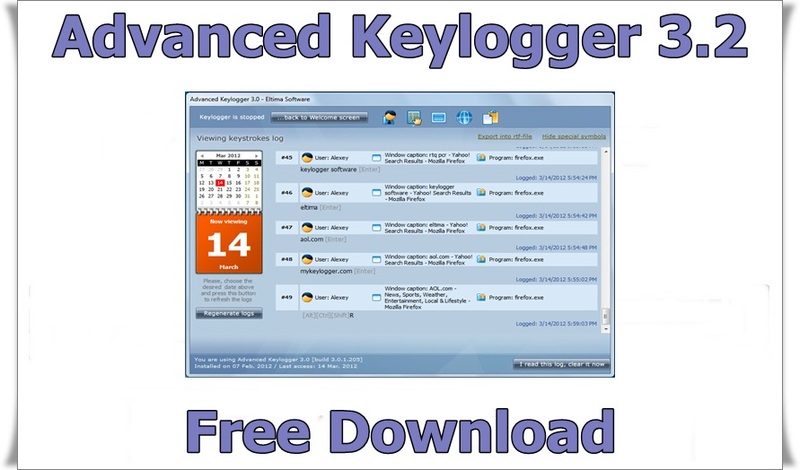 Advanced Keylogger 3.2.1.112 Advanced Keylogger is very efficient at concealing itself and providing the administrator with reports to his email address. All relevant activity on the targeted computer can be logged: login, codes, copy/paste, and much more. An excellent tool for parents or employers. Salaam beautiful peoples, Today we share a Security Software called Advanced Keylogger 3.2 for more follow us on twitter. Advanced Keylogger is very efficient at concealing itself and providing the administrator with reports to his email address. All relevant activity on the targeted computer can be logged: login, codes, copy/paste, and much more. An excellent tool for parents or employers. Advanced Keylogger is 100% invisible keylogger not only for users but is also undetectable by antivirus software.